One time a friend who's also a makeup junkie asked me to choose one makeup product that I think I won't be able to live without. I said, "eyebrow makeup!" 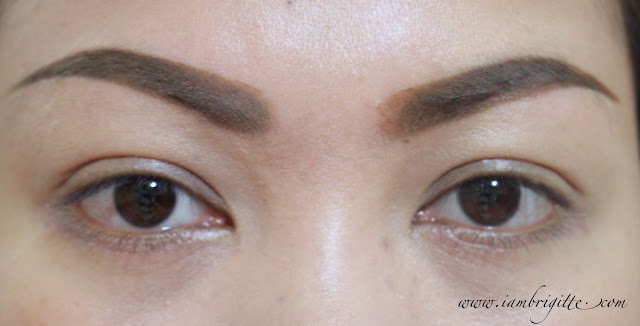 To which she answered, "But you use a lot of products for your brows, so which one?" And so I died. 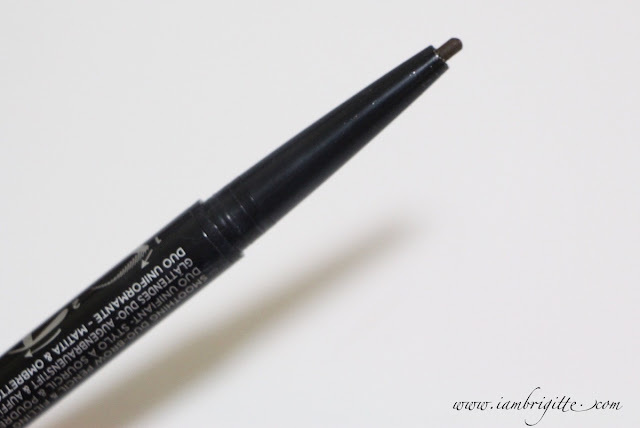 Seriously, If you have watched my Eyebrow Tutorial, you'll know that I am using a total of 5 eyebrow products. Too much? I think so too, but if that would give me that vava-voom brows then I am not complaining. But of course, I would be happier if there are products that will cut my brows' prep time to half since I spend 10-15mins on my brows alone. 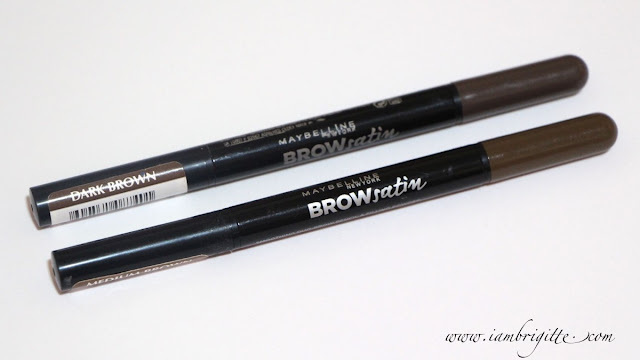 So when our friends from Maybelline Middle East sent me these Brow Satin Eyebrow Duos and after trying it out for some time, I just knew I am ready to give my final answer to my fellow makeup junkie friend. 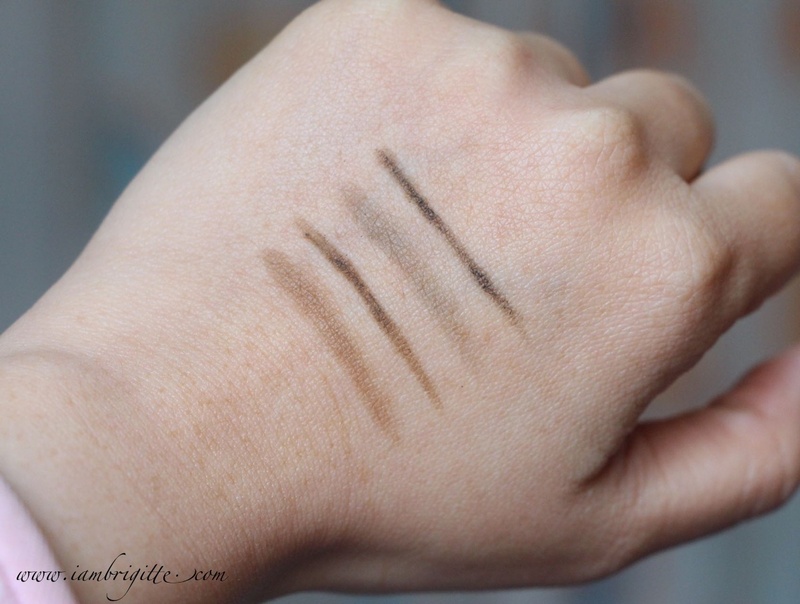 Here in the UAE, there are two shades available: Medium Brown and Dark Brown. I've read online that there's 4 shades available in other countries, tho. Another end is the smudger which loads itself with a matching shade of brow powder each time you screw it back onto the cap. I personally use Medium Brown because it's the lighter shade among the two. Oh yes, I have my eyebrows tattooed. I'll do a separate post about it later. If you have watched my Eyebrow Tutorial, you'll know that I am using a total of 5 eyebrow products. Too much? I think so too, but if that would give me that vava-voom brows then I am not complaining. But of course, I would be happier if there are products that will cut my brows' prep time to half. I used to spend 10-15mins on my brows alone, but with Maybelline Brow Satin, I think I can do it half that time. ♥ Easy to use. I use the pencil end to outline and fill-in sparse areas and then the powder applicator on the other end to smudge. 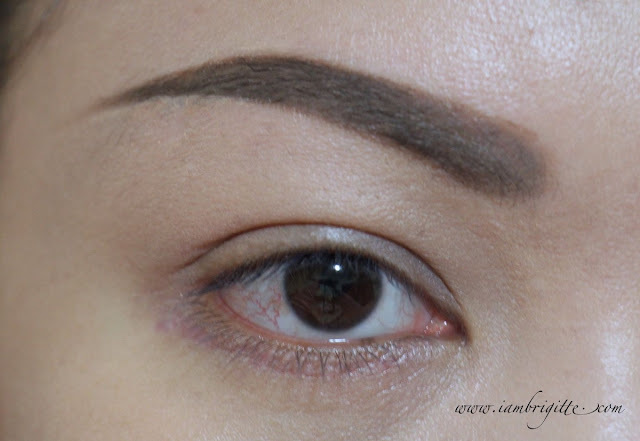 I particularly love the latter to smudge the pencil on the starting point of my brows. ♥ The Medium-Brown shade is the perfect shade for me, until I had my hair colored to a lighter shade. So I still use a lighter shade of brow mascara to match my brows to my hair. 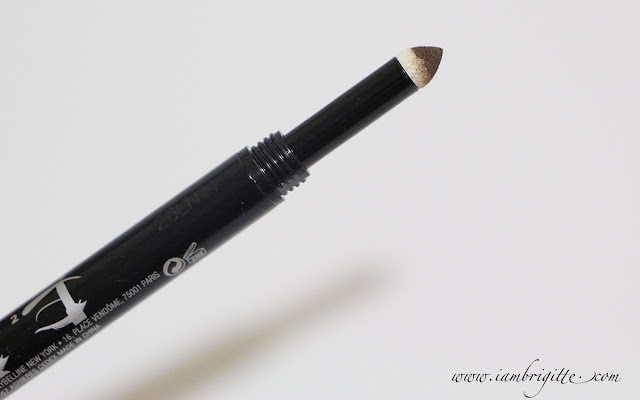 ♥ No need for a sharpener and a brush! The end which has the pencil is retractable and the smudger/powder end is already enough to soften the overlook. ♥ Very travel-friendly. No need to bring a separate pencil, brow powder and brush/spoolie. • It only comes in two shades. I hope it comes in a much lighter shade so I won't have to use a separate brow mascara. I've read somewhere that it actually comes in 4 shades, not sure why here in the UAE they only have 2. Oh Maybelline, bring the other two puh-leez! • The tail of my brows tend to fade around mid-day. But only on that part! Not sure why, as I don't touch them. 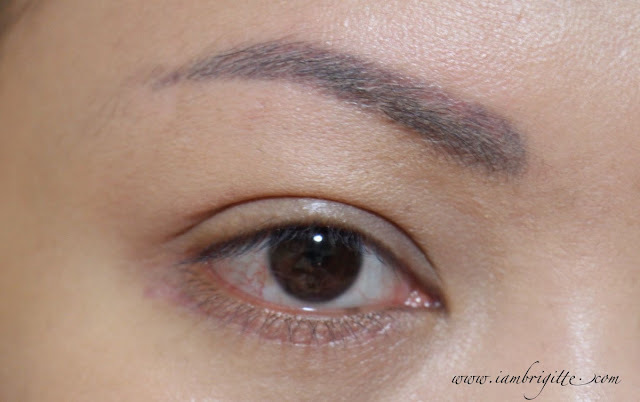 Thanks to my trusty K-Palette brow mascara, I don't have to worry about ending up with half brows! LOL. Overall, I am really liking this stuff. I was sent with samples before I went home to PH last July and have been using it a lot since then. I went to a Maybelline counter back home and found out that it's not available there. Boo-hoo! So when I got back here, I make sure to buy back-ups. Medium Brown is always OOS here and the saleslady told me that a lot of people have been buying this stuff. 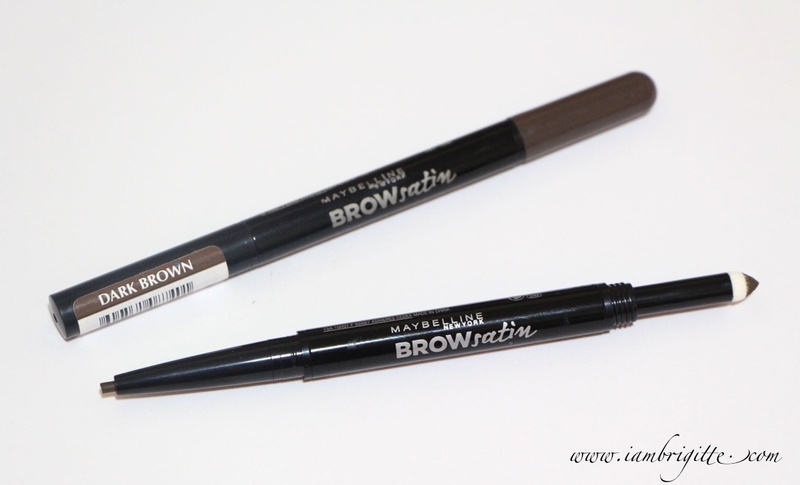 If you haven't tried it, I suggest you check it out and maybe, just maybe, it will help you if you have any brow problems like me. 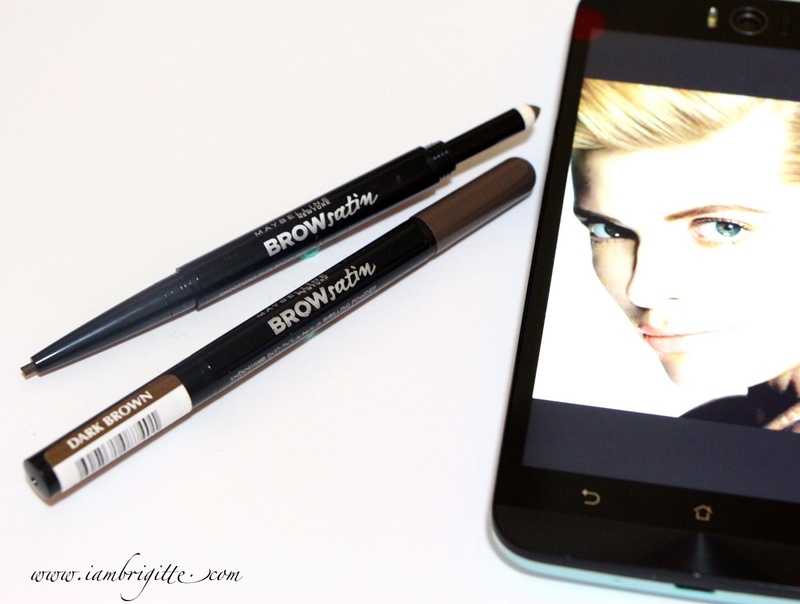 By the way, I tried filming a new brow tutorial but my camera just kept on getting out of focus. I'll try to figure out why and hopefully I'd be able to come up with an update brow routine video soon.